The role of an adult Hermione was given to award-winning actress Noma Dumezweni, who won an Olivier Award for excellence in stage acting. The author, who created the story for the play, has made it clear that she didn’t write Hermione with a skin color in mind. The play, set to open July 30 at the Palace Theatre, is broken up into two parts. Written by Jack Thorne, it’s based on a story by Rowling about Potter in adulthood. The plot revolves around a grownup Potter, who is an “overworked employee of the Ministry of Magic, a husband and father of three school-age children.” His youngest son Albus never wanted to inherit his family’s legacy as he and his dad are confronted with darkness from unexpected places. It has already sold a record-breaking 175,000 tickets in the first 24 hours pre-sales were made available. Audiences were treated to preview performances last week and were told to arrive an hour early and had their bags searched for any recording devices. Pottermania is back -- just not as you once knew it. Nearly a decade after J.K. Rowling completed her epic seven-book series and five years after Daniel Radcliffe ended an eight-film career as The Boy Who Lived, a two-part play called "Harry Potter and the Cursed Child" just opened on London's West End. Written by Jack Thorne and based on a story by Rowling, the new tale takes Potter fans on a journey across time and deeper into Harry's struggles with adult life. Harry (Jamie Parker) has fulfilled his dream of being an Auror, but it turns out that it's not all it's cracked up to be as he spends much of his days shuffling paper about. But that's nothing compared to this horrifying development: His scar is starting to hurt again. Potter fans can get a glimpse of Parker's acting chops in the 2008 film "Valkyrie." Parker (shown center) starred alongside Tom Cruise as Lt. Werner von Haeften, the right hand man of Col. Claus von Stauffenberg, who masterminded an attempt by German military officers to assassinate Adolf Hitler. 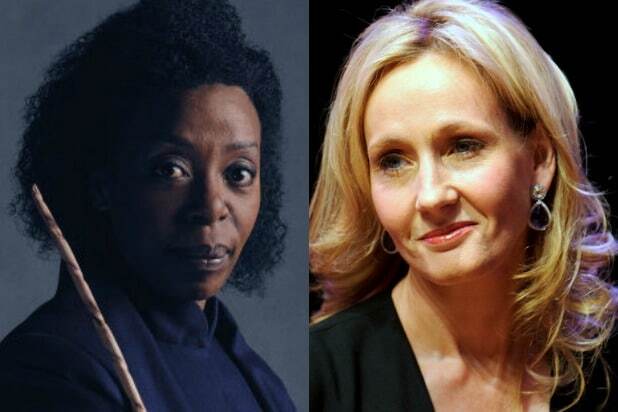 Hermione Granger (played by Swaziland-born actress Noma Dumezweni) returned to Hogwarts to complete her final year of education, and later helped repeal laws against Muggle-born wizards as the Ministry's Deputy Head of the Department of Magical Law Enforcement. In "Cursed Child," she has become the new Minister of Magic. In 2006, Dumezweni beat out Benedict Cumberbatch for a Laurence Olivier Award with her supporting role in a West End production of "A Raisin in the Sun." Three years later, she appeared in the 2009 "Doctor Who" special "Planet of the Dead" as Erisa Magambo, a UNIT captain assigned to help the Doctor retrieve a double-decker passenger bus that fell through a wormhole and landed on a hostile desert planet. Ron Weasley (Paul Thornley) became an Auror at the Ministry, but eventually left to help his brother George run Weasleys' Wizard Wheezes at Diagon Alley. Thornley's most prominent role was in "London Road," a musical about residents in Ipswich whose little neighborhood becomes the center of media attention following a series of murders and the arrest of the serial killer responsible. He's also had bit roles in "Minions" and the 2012 adaptation of "Les Miserables." Ginny Weasley (Poppy Miller of "The Second Best Exotic Marigold Hotel") is a former pro Quidditch player for the Holyfield Harpies and the Quidditch correspondent for the Daily Prophet. She's also the mother of three children with Harry. 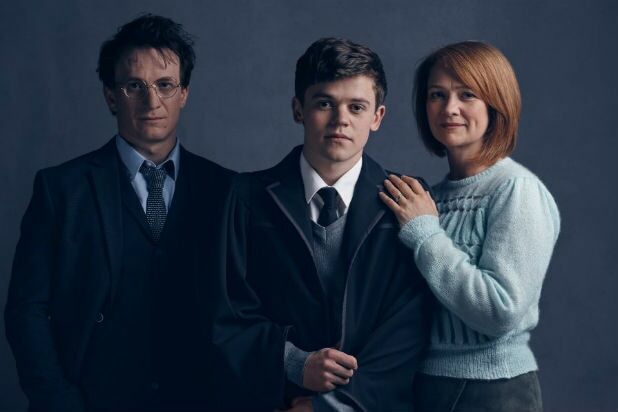 Harry and Ginny's son, Albus Severus, is played by Sam Clemmett, whose credits include the British drama "Foyle's War," and a stage version of "Lord of the Flies." In "Cursed Child," a rift has grown between Harry and Albus, as the son hates living in his shadow. Unlike Harry, he can't ride a broom to save his life, and he can't stand being reminded that his dad is everything he isn't. Surprisingly, Albus' closest friend ends up being Scorpius Malfoy, who's nothing like his dad, Draco. Scorpius is kind and supportive, and like Albus, feels trapped by his family's scandalous reputation as servants of Lord Voldemort. Even worse, Scorpius discovers that Draco may be keeping a dark secret about where he really comes from. For his part, Draco has become a mature man and erstwhile ally to Harry, though old rivalries die hard. So what do we know about the plot? J.K. Rowling, who wrote the story off of which Jack Thorne based the script, has hinted that "Cursed Child" will follow the darker tone of the later books and jump between Harry's struggles in London and Albus' adventures at Hogwarts. Things will come to a head when Albus and Scorpius discover an illegal, powerful Time-Turner, which allows them to travel back over 20 years to witness Harry's time at Hogwarts firsthand. Unfortunately, no one told them the dangers of messing with history.